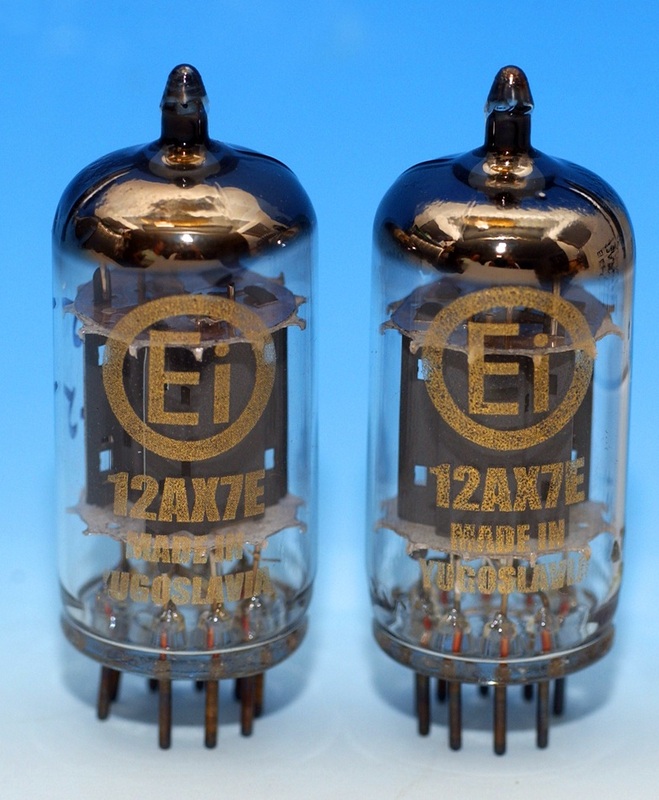 This entry was posted in Vacuum Tubes and tagged 12ax7/ECC83, Ei by tubemaze. Bookmark the permalink. Lots of reviews about this tube on the web. A lot of people are intrigues by their similarity to Telefunken Smooth Plates and considering that it was produced on the same hardware as Telefunken there is definitely an excitement about the tube. They do look similar to Teles, but there are noticeable differences in the structure of plates with Teles having opening on the top and Ei in the middle, Ei has flat cross bar that connects heater ground. Also Teles have flat halo getter where EI’s getter is just round. Now about the sound, they sound quite good. They are no Telefunkens that’s for sure, but they have nice and sweet HF, good bass and soft, warm mids. However, they don’t have the transparency of Teles nor the sound stage that Telefunkens can create. Overall a good tube and could be easily confused for Teles if labels are removed. One issue with the tubes is QA. The batch that I got was very good, but there are a lot of complains about microphonics and early failure. 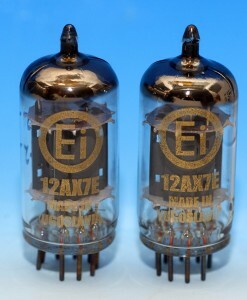 I just spend an hour listening to Telefunken 12ax7 Smooth Plate Selects – darn!!! Love these things, but this post is about a diffeernt tube. After listening to Selects, I decided to put to rest my internal arguments whether Selects better than the regular once – and I couldn’t believe how good Selects were – no comparison. After that long listening session, I decided to roll Ei – since they have similar construction and were created on the same equipment……………….. The difference was quite significant. After Telefunkens, these tubes were easily identifiable and exhibited less air and details, but more body. I think that Telefunkens still are better especially if they are combined with warm tubes in the signal path to add body to the sound, but considering that Teles are 3 times more expensive than Ei – the winner is not that clear. The the current price point, Ei tubes are a great deal. RECOMMENDED.